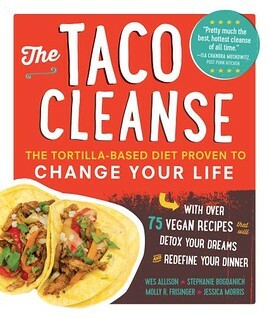 I am obsessed with the Isa Does It cookbook. I have made probably half the recipes by now and they are all so quick to prepare and delicious. I was on a Shroomy Hot and Sour Soup kick for months. I even bought a case of Chow Mein noodles (I love you Amazon Prime). One of the first recipes I tried was the broccoli cheddar soup and I was pretty much blown away by the taste. I have always loved broccoli cheese soup and I never in a million years would have thought a vegan version would come so close. 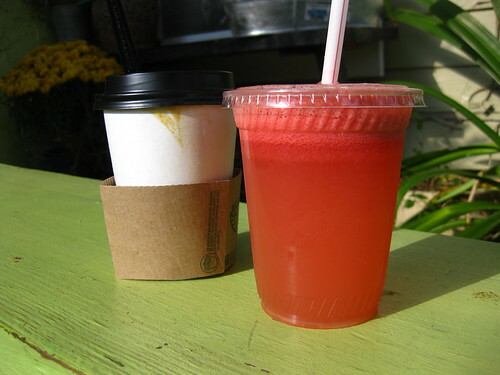 It is so tangy and rich while still feeling comforting and maybe even healthy. The other day I saw a recipe for Pretzel Bread Bowls and I knew I had to try them. Mostly because when I’m watching General Hospital on Hulu they play the Panera Bread commercial 65,000 times an episode so I’m constantly reminded that bread bowls exist. I don’t think I realized how delicious this would be. The pretzel bowls came out of the oven steaming and solid and just beautiful. Although the recipe for the pretzel bowls was a little time heavy I put it together on a freezing Monday night without much fuss. The soup takes about 20 minutes so it’s easy peasy to cook up while the bowls are baking. And then you get to experience the utter bliss of pretzel bread soaked in broccoli cheddar soup. A combination I won’t soon forget. Or maybe I will so I’m blogging it so I remember it always. Because it was really worth the time. 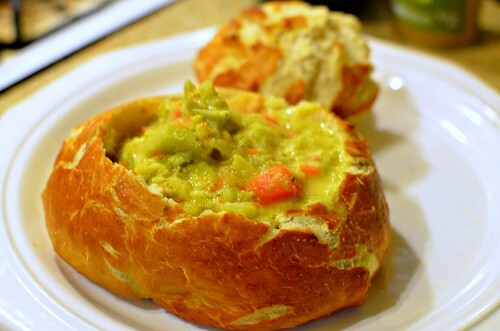 Maybe I’ll even convince myself to make bread bowls for the upcoming world wide vegan bakesale. If you’re lucky that is. This entry was posted in Cooking and tagged a beautiful mess, Isa Does It, soup on March 17, 2014 by lazysmurf. 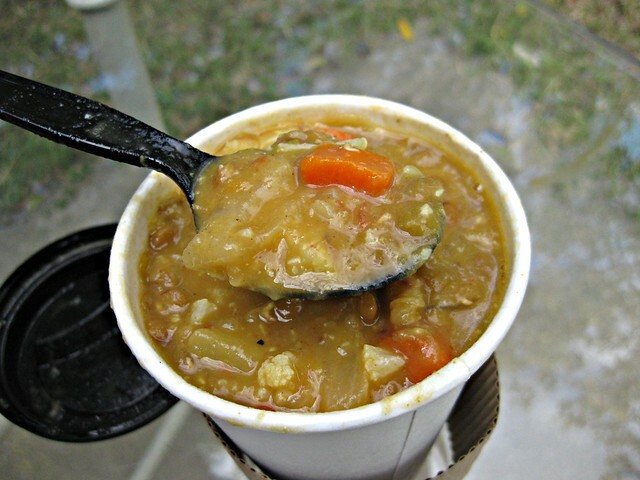 Dealing with the cold – an Austin soup round-up & Vegan Christmas! Is it just me or is this the coldest winter we have ever had? 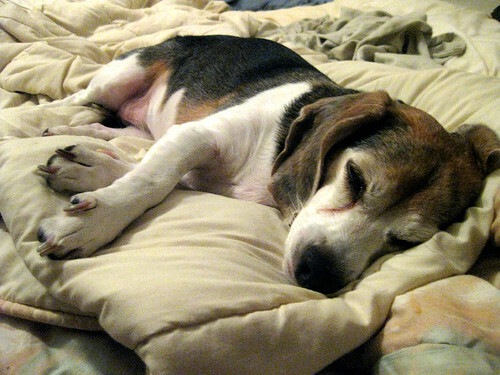 The beagles and I are suffering through it with lots of blankets, heating pads, tv, warm sweaters, and hot soup. I can’t even blog because it’s so cold in my office. I picked the wrong year to not go on a tropical vacation. I wish I could hibernate. I have been seeing lots of soup specials around town. 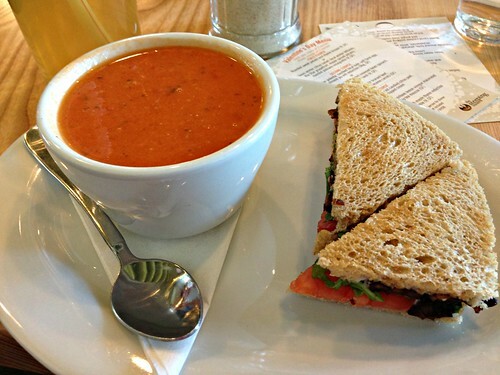 Counter Culture and Unity Vegan Kitchen seem to be doing weekly or daily specials so you can go in and get soup and a sandwich. 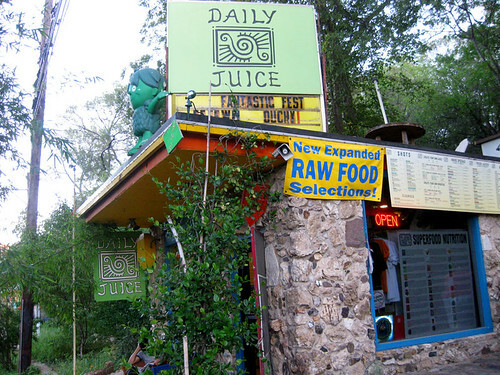 Of course Casa de Luz always has daily soup specials too. 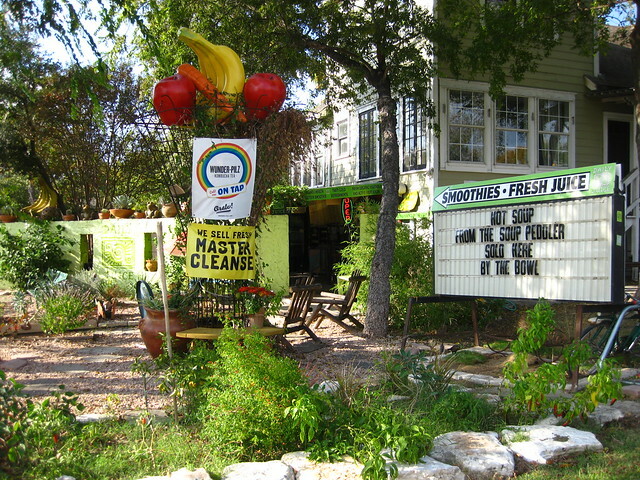 The Juicebox in South Austin always has vegan soup too, I love their green goddess and if you get a green smoothie to go with it you can will St. Patrick’s Day to get here already. The Steeping Room is another good spot to go to in the winter so you can also have hot tea. 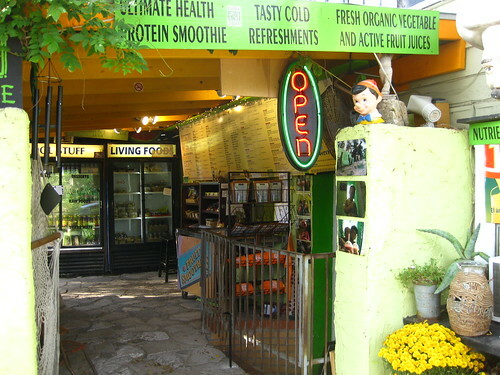 They make a lot of their delicious soups from a coconut base. And you can get an adorable tea sandwich to go with it. I love the Tom Kha at Little Thai food, which I’ve gone on about before, I’ve been trying to make my own Tom Kha at home but it’s not quite as good. Another soup I’ve been enjoying, way down south, is the Al Tofu Noodle soup from Tuk Tuk. Hao Hao has a hot & sour soup that’s similar but I don’t think it’s as good. If you live in the area both places deliver so that’s pretty huge. I also finally found a pho that I really like (it’s definitely not the one from whole foods) at PhoNatic they have a far south location and a far north location so for once central people are out of luck. 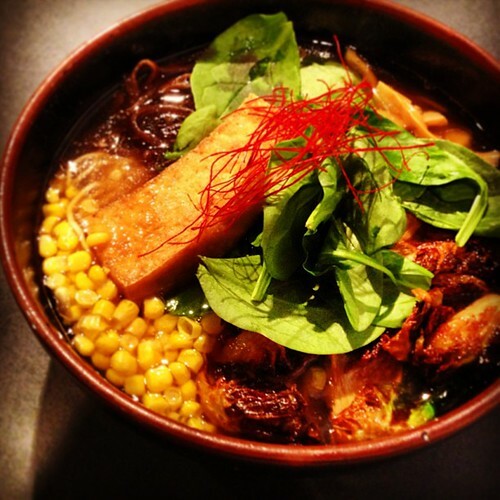 Then there are all the ramen spots, Daruma downtown, Ramen Tatsu-Ya, Michi Ramen, and the Dojo all up north, I do believe Tatsu-ya still only does vegan ramen on Sundays still but the rest have it every day. Mr. Natural has a really good tortilla soup that you can order off their menu, you could even add Daiya cheese if that’s how you roll. Down the street from there Wasota has Egusi Soup with Fu Fu and you can even call ahead and have it ready when you come by. That’s really all I can think of, I’m sure their are tons of other Vietnamese, Thai, and Indian soups out there, if you come across a special one please let us know in the comments. In other news their are lots of parties on the horizon. BBQ Revolution and Red Rabbit Doughnuts are going to have a customer appreciation party this Friday the 13th at 7. Sweet Ritual is celebrating their 2nd birthday this Sunday the 15th with $1.50 cones all day! They also have a bunch of fun holiday themed ice creams you can take home. They are available all over town now. Counter Culture will also be throwing a holiday party with a white elephant gift exchange and cheese specials Tuesday Dec 17th. Just like at Thanksgiving, they will be doing holiday meals to go for Christmas in case you are going to a non-vegan event. 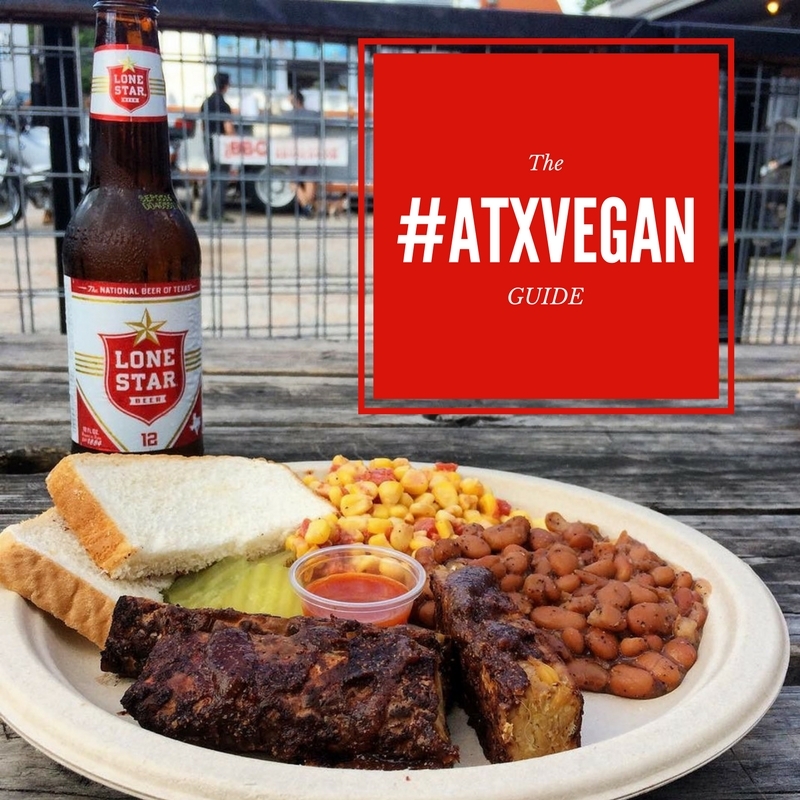 Vegans Rock Austin is going to have a holiday potluck on 12/22. Capital City Bakery is moving into their building and they have a bunch of holiday specials and you can order pies, cookie dough, and other treats for Christmas. 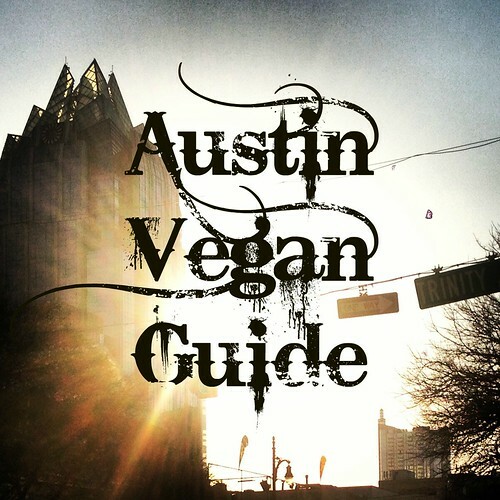 This entry was posted in Austin, Austin Guides and tagged Austin, christmas, soup, vegan on December 11, 2013 by lazysmurf. 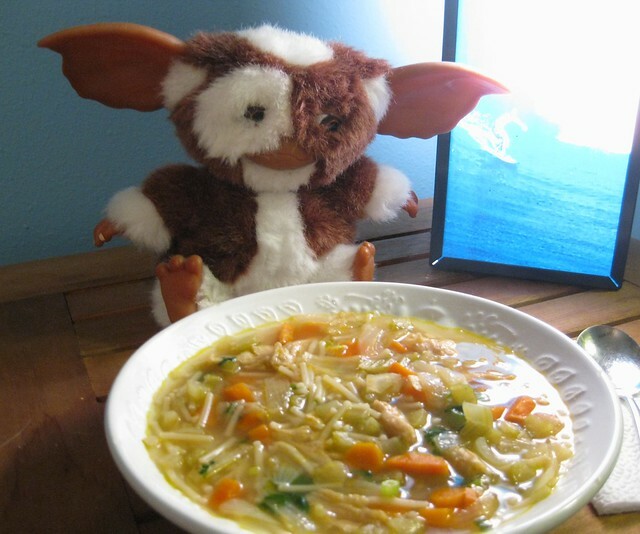 This is the perfect soup if you are not feeling well just remember to never feed your mogwai after midnight. Speaking of the rules, I wonder if feeding a mogwai soup is the same as getting them wet? It is all so complicated! Gremlins was the first movie that I remember seeing in the theater and I bet I have been eating noodle soup just as long. It was one of the first things I learned to make but it wasn’t until I moved to Texas that I learned about adding cilantro and lime and making it “Mexican” noodle soup. What a difference two humble ingredients thrown it at the very end of the soup making process can bring. 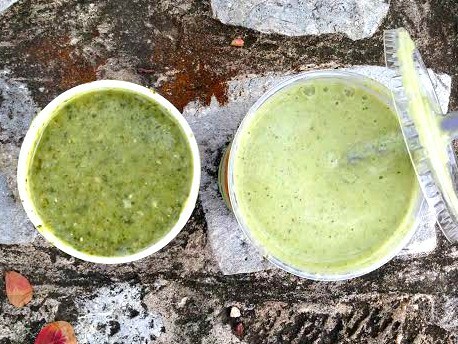 The lime adds a lovely full quality to the broth and the cilantro adds lots of flavor while adding to the healing properties on an already curative soup. 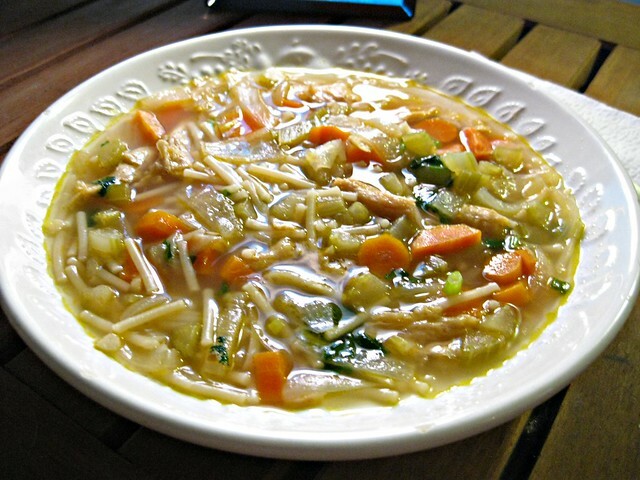 If you never liked “unchicken” soup try this one because, I promise, you won’t miss the bird. Chop top 4 ingredients, saute until browned about 20 minutes. Add the next 4 ingredients, bring to boil, reduce to simmer and cook a half hour. Add the noodles & soy curls, when they are just about done add the rest along with salt and pepper. Enjoy! This entry was posted in Cooking, recipe and tagged recipe, soup, vegan chicken noodle soup on October 12, 2010 by lazysmurf. I went on a trip to Hungary once. 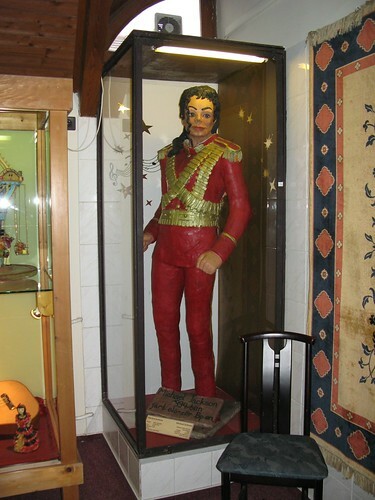 It was only later that I learned they have a marzipan museum in Szabo where you can see, among other things, a life-sized marzipan Michael Jackson. I don’t have very many regrets about my life but missing that museum is definitely one of them. Luckily, on that same trip I was able to see baby Jesus’ diaper so I can’t say the trip was a total bust. I love Eastern Europe and the food, especially sausage which is often, unfortunately, the only dining option when traveling to those parts of the world. If you would have asked me long ago why I would never go veg I think a love of sausage would be up there. 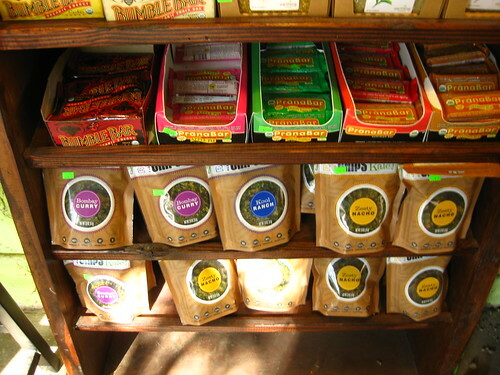 I wish I would have known then about seitan sausages because they are all I need to be a happy sausage lovin girl. 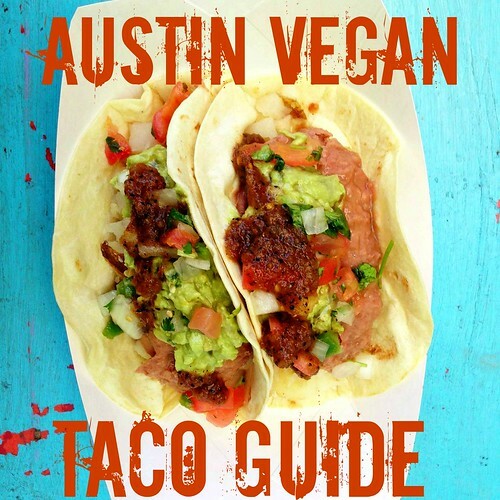 Here in Austin you can even get whole wheat flour from the farmer’s market so if you wanted to make local cruelty-free sausages you could do it with much ease. 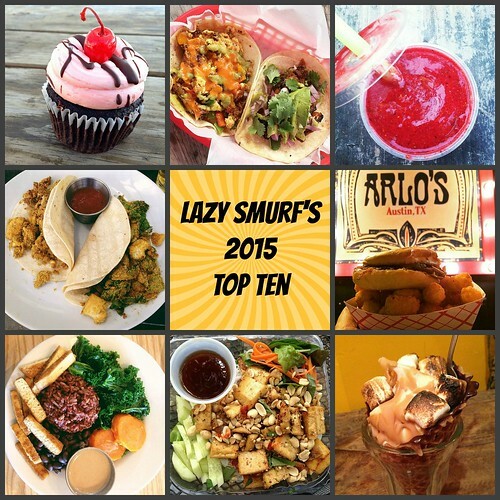 This soup recipe is everything that Lazy Smurf’s Guide to Life is all about. 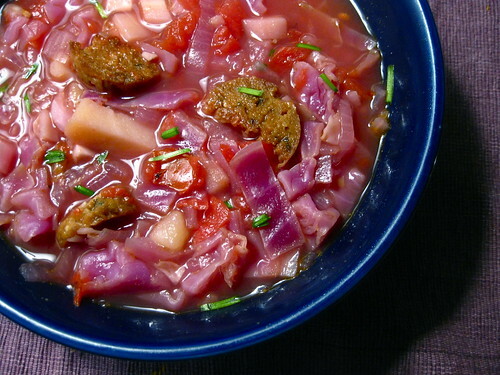 The recipe was really easy, the dish was very hearty and comforting, the recipe yielded a ton, the ingredients were healthy, seasonal, and local, it has Eastern European roots, was really cheap to make, and it tastes fantastic! That is a lot to ask for of a cabbage soup but I was really happy with how it turned out. Using seitan sausages really made the soup pretty wonderful but if you don’t have any around the soup would still be good. There is a lot of vinegar that we put in at then end which gives it the characteristic sour flavor but if you are not a fan you can leave it out or add a little at a time to taste. In a large soup pot saute the onions while chop up the rest of the ingredients. Once they are beginning to brown add the cabbage and the garlic followed by enough water to cover all the vegetables. Add the tomatoes and simmer for 30 minutes. In a small skillet saute the sausages with a little bit of olive oil until the turn brown. Add them to the soup pot along with the potatoes. Simmer for another 20 minutes uncovered. Add the vinegar, sugar, liquid smoke, and seasoning powder and taste. Adjust and enjoy with some hearty bread. Mmm soup. 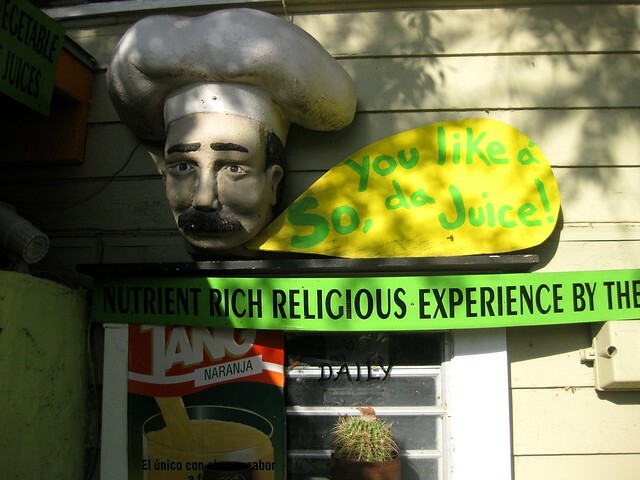 This entry was posted in Austin and tagged cabbage, eastern europe, Hungarian, michael jackson, red cabbage, sausage, soup on December 22, 2009 by lazysmurf. 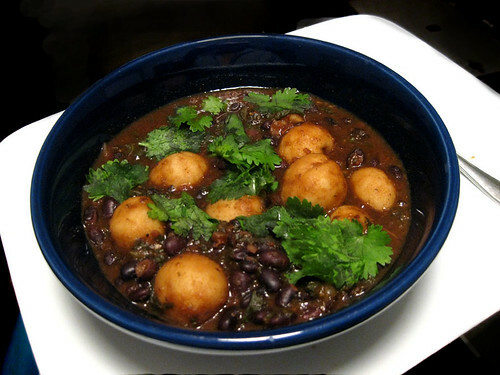 I made this stew last night and it was comforting and enough to feed an army. Well, a very small army anyway. The biscuit topping was my favorite vegan biscuit so far which is amazing because I had a lot of trouble following the recipe. 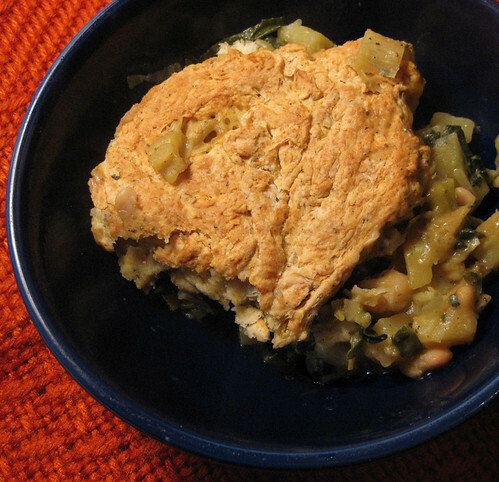 I think it turned out so tasty because of the nutritional yeast which I couldn’t really taste in the final biscuit but perhaps added some wonderful dimension because they were really flaky and tender. The stew itself was pretty good, a little bland for my taste even though I upped the spices. I want to make it again with roasted poblanos and corn added because I think that would be damn near perfect on a cold winter day. Speaking of winter, it is upon us here in Texas. 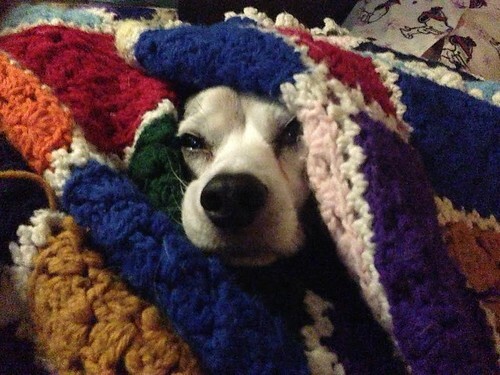 My house is so cold all the time now and the beagles are constantly cuddling to get warm. Dinger is still under doctor’s orders to stay in bed and Miss Willow (above) is keeping him company because she loves him like crazy. I can’t wait until everyone is healthy again! 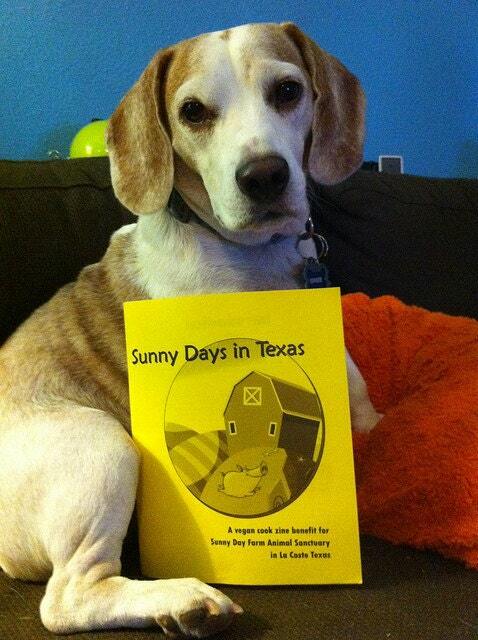 This entry was posted in Austin and tagged biscuit, kale, potato, soup, vegan dad on November 19, 2009 by lazysmurf.